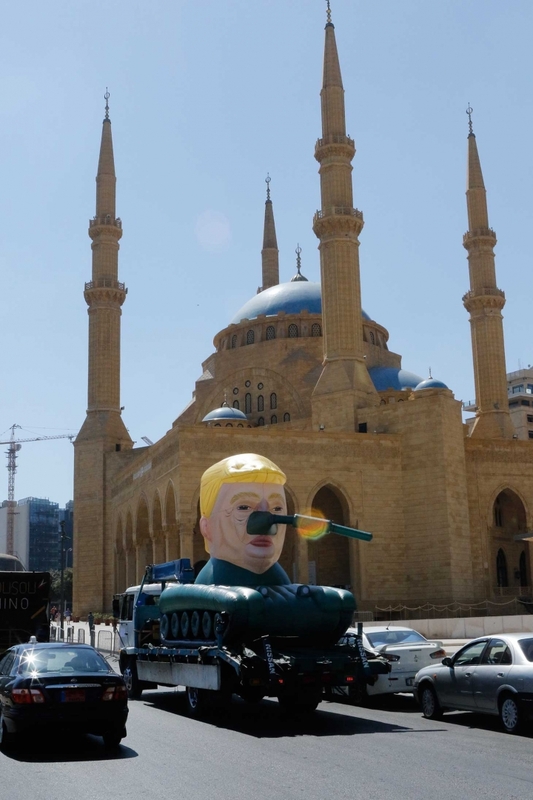 A Syrian artist and activist, known only as Saint Hoax, debuts his latest performance piece called MonuMental—an inflatable tank with the bust of Donald Trump crowning the turret—is menacingly marauding through the streets of Beirut. Part of an overarching theme exploring how celebrity is a crisis of character, Saint Hoax hopes to reveal the underlying pathos that contrasts public façades. Learn more at Hyperallergic at the link above.